While the goal of virtually every NFL team is to build the foundation of their team through the draft, free agency can be an extremely effective route at acquiring an impact player at a position of need. We saw an entire slew of safeties – Eric Weddle, Tashaun Gipson and Reggie Nelson, among others — change teams last offseason. Let’s take a look at the 10 best safeties who are set to hit free agency this offseason. Seven years into his career, Berry has five seasons under his belt in which he played in at least 1,000 snaps; he’s earned a positive overall grade in all five of those seasons, with four of them earning him exceptional grades. Opposing QBs had just a 52.3 QB Rating when targeting their receiver while Berry was the primary defender in coverage, the sixth-lowest rate among all safeties who were on the field for at least 25 percent of their teams’ defensive snaps. Including the postseason, Harmon has never totaled more than 700 total snaps in a season; to steal a phrase from senior PFF analyst Sam Monson, he’s essentially played as a nickel safety for the Patriots. With that being said, Harmon has been excellent in coverage throughout his career. Harmon finished this season ranked second among qualified safeties having allowed just 0.14 yards per coverage snap, and he finished ranked fourth among safeties last season while allowing the exact same rate. For his career, opposing QBs have just a 78.0 QB Rating when targeting their receiver while Harmon was the primary defender in coverage. Jefferson has graded positively against the run in all four seasons of his career, with his run-defense grade increasing steadily over his first three seasons before taking a tremendous jump in 2016, his 98.0 run-defense grade placed second among safeties. Jefferson’s position on this list isn’t derived just from his outstanding play against the run though, over the past two seasons Jefferson has transformed from a run-stopping safety who was a liability in coverage, to an elite run-stopping safety who’s also competent in coverage. In his first two seasons, Jefferson allowed a 111.1 QB Rating when he was the primary defender; since then his QB Rating against has been just 87.1. Prior to the 2016 season, Church had spent most of his career grading out as an average to above-average safety; in 2016 though he was one of the best there was, finishing the season with the 11th-highest overall grade among safeties. One deficiency that Church really showed improvement with in 2016 was his tackling; from 2013 to 2015 Church missed a tackle on 12 percent of his attempts, in 2016 that number dropped all the way down to 9.1 percent. Cyprien wasn’t just the best run-stopping safety in 2016, he was one of the best run-stopping defenders period. Cyprien finished the season with a 98.8 run-defense grade that was so good it led to him finishing as our seventh-highest-graded safety in terms of overall grades despite a pedestrian coverage grade. 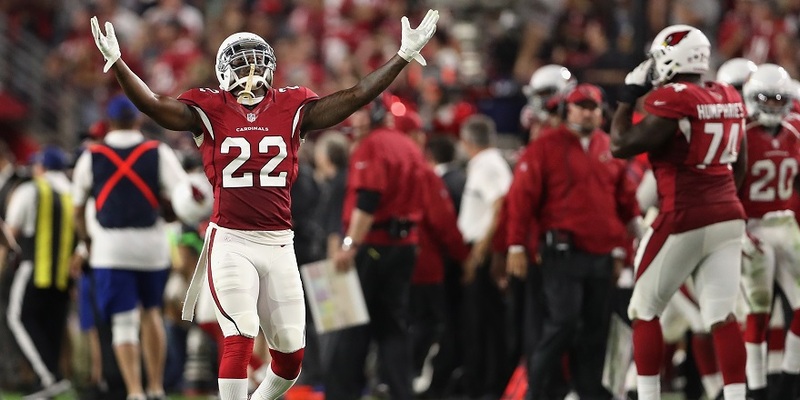 Cyprien’s 27 run stops tied with Tony Jefferson for the most among safeties in 2016 and he led all safeties with 51 tackles against the run. It’s taken a bit of time for Swearinger to piece everything together, but he put together a fine season for the Cardinals in 2016, his fourth year. Swearinger saw his first real playing time in Week 5 against the 49ers, where he played in all 78 of the Cardinals’ defensive snaps and from that point over he essentially played – in terms of overall grade – as a top-10 safety. If Swearinger is able to cut down on his missed tackles he has the chance to take another step forward in 2017; Swearinger earned a tackle-efficiency score of just 6.9 last season (the number of attempted tackles per miss), which ranked 76th among 108 qualified safeties. McDougald doesn’t offer the same amount of upside as his peers ahead of him on this list, but he has youth on his side to go with no real glaring holes in his game. Over the course of 2,384 career snaps, McDougald has essentially graded out at right around average in all three phases of grading we have for safeties: coverage, run defense and pass-rushing. One area of his game that McDougald could afford to clean up a bit is he misses too many tackles, McDougald has averaged 13 missed tackles per season over his first three years, and the 14 tackles he missed this year were the third most among safeties. Addae graded well as a rookie in 2013 and then followed that season up with lackluster performances in 2015 and 2015. Addae missed much of this past season but came back in Week 12 and was superb to close out the season. 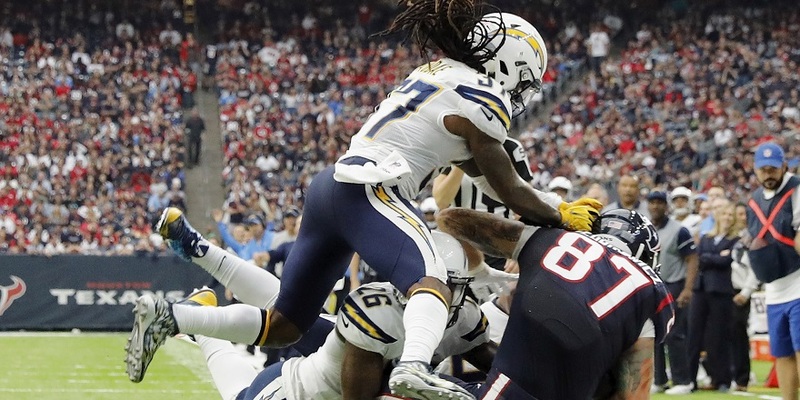 Addae had 13 total stops from Week 12 through the end of the season (the sixth-most among safeties over that period) while allowing just a 56.8 QB Rating as the primary defender in coverage, the 11th-lowest among the 45 safeties who were targeted at least 10 times over that period. McDonald is just 26 years old and graded out as an above-average coverage defender in 2016, and those two things alone make him an interesting off-season target. McDonald surrendered a 68.8 QB Rating this season while he was the primary coverage defender, nearly half of the 121.6 QB Rating he surrendered over his first three seasons. Adams has graded out quite well throughout his career; after posting the second-highest overall grade of his career in 2014, Adams followed it up with the second-worst grade of his career over 839 snaps in 2015. Given his age, the rationale assumption would be that he was a player trending downwards as he got into his mid-30s and that the negative trend would continue into 2016, but that wasn’t the case. In 2016 Adams played in 997 snaps (158 more snaps than he played in 2015) and posted the third-highest raw grade of his entire career. Adams is going to be 36 years old this season though, and the inherit risk that the wheels could fall off at any moment, along with there being a fairly deep pool of quality free agent safeties this offseason prevent him from landing higher on this list.